200+ scorers in the previous 4 Pre JEE-Main tests achieved 99.9%tile in JEE Main 2019 (January). 70% of all 4 Pre JEE-Main test takers who scored 100+ marks achieved 94%tile & above in the JEE Main (January) 2019 examination. The average score of Pre-JEE Main test takers improved by 51% through Test 1 to Test 4. The 2nd JEE Main exam is almost here and we don’t want aspirants like you to miss out on the wonderful opportunity to boost your scores. On popular demand, we are back with the Pre JEE-Main Test Series 2. What’s so special about Pre JEE-Main 2? Experience JEE Main 10 times before the real JEE Main 2019. Ensure you are 100% thorough with JEE Main syllabus. 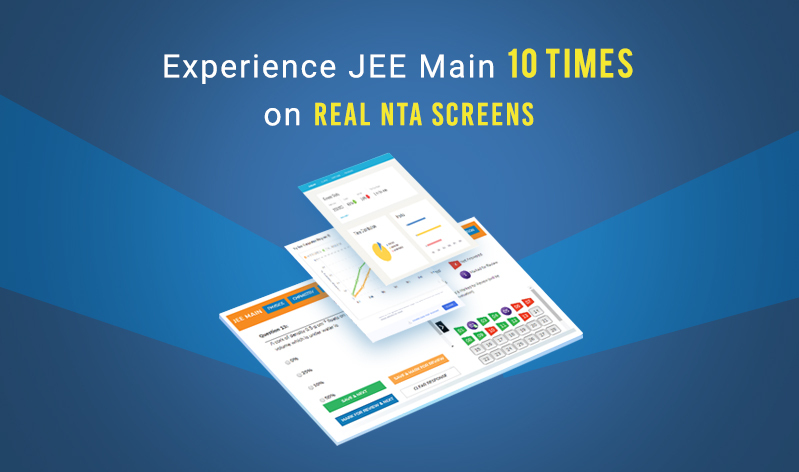 Take the tests in real NTA Test Screens. Take the National level test and know where you stand on the road to IIT. Compete real-time against thousands of JEE aspirants across India. Get instant results and be exam ready! When to attempt the test? The duration of the test is 3 hours and the test window is 12.00 A.M. to 11.59 P.M. If improving your JEE score isn’t enough, we have something more for you. With 10 Tests comes the opportunity for you to earn 10 exciting prizes. Do you have it in you to beat the competition? The Pre JEE-Main Test Series 2 is free for our users who have purchased a myPAT Course (Rank Booster/Ultimate). So, all you need to do is log in and register for the test. Note: Offer Valid till 25th March 2019! Still here? Hurry! Register now. « JEE Main 2019 – Admit Card for April Session to be Released Soon!